Updated 12:01pm 1 April 2014: April Fools. Melbourne 1 April 2014: Australia’s biggest online retailer, Kogan.com, has today unveiled a rival to the much-maligned National Broadband Network (NBN). 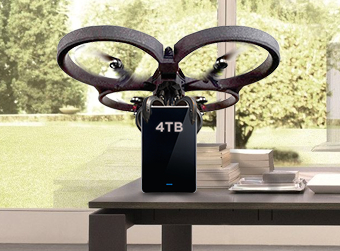 Called the Kogan Drone Broadband Network (DBN), it will leverage the power of unmanned aerial drones to deliver data. The current Australian NBN rollout is going to cost an estimated $73 billion. A statement from Kogan says it became frustrated by the delays and cost blow-out associated with the NBN, so a team of engineers decided to take matters into their own hands. 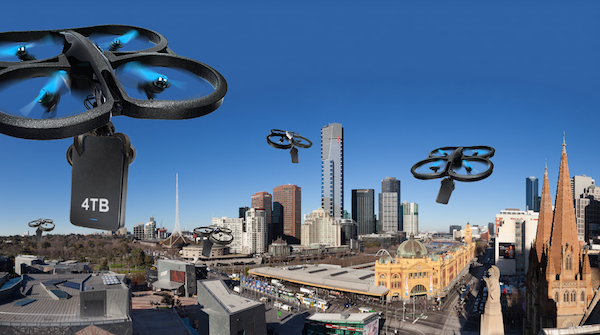 As the name suggests, Kogan’s DBN will rely solely on drones to deliver “lightning fast” internet to data-loving Aussies, who don’t want to spend more than five minutes waiting for House of Cards or Game of Thrones to download. The Kogan DBN literally transports data from point to point faster than any series of tubes.